One of the most important rules in the realm of entrepreneurship is that you cannot use the name of another person or entity without their permission. 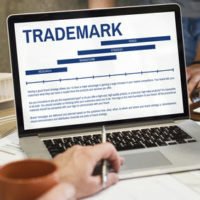 This is because use of a trademark can cause confusion in the business world, and this can lead to negative consequences, such as loss of revenue and reputation issues. This is called copyright infringement and is illegal. Popular sportswear brand Adidas was recently embroiled in a lawsuit with Art Basel, an art fair in Miami Beach. Art Basel accused Adidas of using its name on a series of shoes without permission. The copyright infringement was first noticed in 2016 when sneakers with the words “Art Basel” on the tongues made an appearance at an Art Basel event. Shortly after, the shoes starting selling on eBay for as much as $500. Art Basel found out about the misrepresentation and filed a copyright infringement lawsuit. The art fair claims no association with Adidas and claims that the sportswear company is attempting to dilute its trademark. The suit is asking Adidas to destroy all shoes bearing the Art Basel name and pay for damages as a result. Adidas takes responsibility for the issue. The company admits that it did produce a limited number of shoes with the Art Basel name. Adidas did this without partnering with Art Basel or asking for permission to do so. Adidas was willing to settle the lawsuit amicably. Adidas did make a mistake in this case. Trademark infringement is the unauthorized use of a name or service that can cause confusion. This was certainly the case here, as many people were likely under the impression that Adidas had a partnership with Art Basel. That was not the case at all, and it appears as though Adidas was looking to profit off the art show without Art Basel’s consent. Those who believe that their trademark has been infringed upon have the legal right to file a lawsuit against the liable party. Cases often go to federal court. In a trademark infringement case, the court will look at the similarities between the two brands and determine if there is any confusion between them. The court may determine if the companies have the same consumer market as well as how and where the goods are being advertised. If infringement can be proven, the plaintiff may receive various remedies. The plaintiff can stop the company from using the trademark, ask for monetary damages, ask that the offending products be destroyed and ask the defendant to pay for attorney fees. When you create a product, it’s important to take all the various elements into consideration. A product name that is similar to that of another company can be grounds for a lawsuit. Lawsuits can be expensive and complicated, so it’s best to avoid this fate if possible. If you have concerns or suspicions of copyright infringement, seek the legal assistance of Orlando trademark and copyright lawyer B.F. Godfrey from Godfrey Legal. He has more than 30 years of experience in this area. 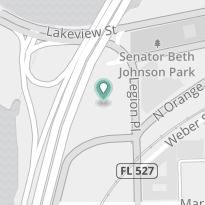 Contact Godfrey Legal at (407) 890-0023 for a consultation.